Two fashion trends in one! 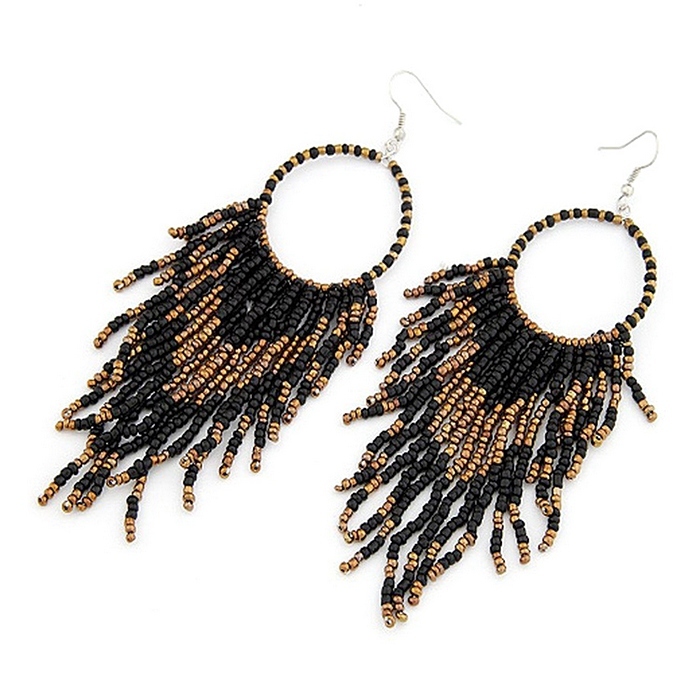 A hoop top, with long cascading strands of black and gold beads. And totally on-trend in their length, too. Length: 12cm (4¾").